CINCINNATI -- Charges have been dropped against an 11-year-old Ohio girl who was suspected of shoplifting from a supermarket when a police officer shocked her with a stun gun. Cincinnati Mayor John Cranley said Wednesday night that stunning the girl who "posed no danger to the police" was wrong. 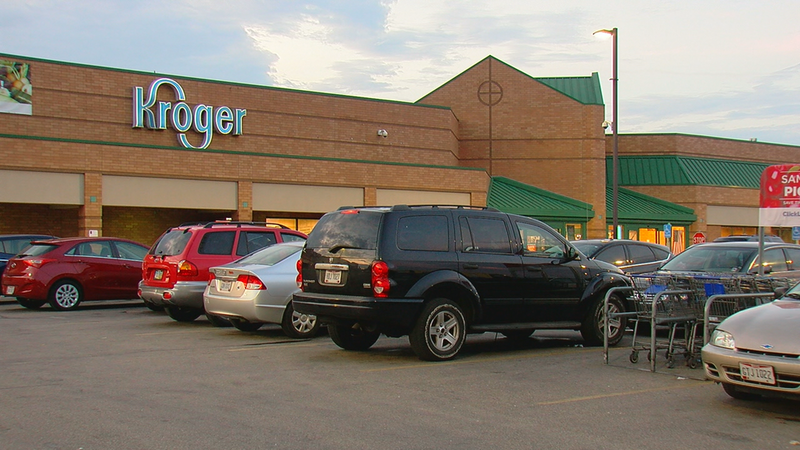 The encounter happened Monday night at a Kroger in the city. Police say the officer suspected the girl was using a backpack to shoplift when he approached her. They say the girl resisted and tried to flee before she was shocked with the stun gun. The girl was taken to a hospital and released. CBS Cincinnati affiliate WKRC-TV says the girl's mother wants the policy that led to the Tasing changed. The station says it's not in dispute that the girl stole some snacks from the Kroger, was told by an officer to stop and didn't, and was then Tased. Currently, Tasers can be used on people ages 7 to 70 actively resisting arrest, WKRC says. Donna Gowdy doesn't understand why her daughter, who isn't even 5-feet tall or 100 pounds, needed to be Tased for shoplifting. "I just wish that he would have thought of a different way of going about it other than Tasing her," Gowdy said. According to WKRC, Cincinnati police say it was an off-duty officer working security at the store who Tased the girl in the back when she wouldn't stop. "I know everybody probably be like, 'Well, you know, she stole,' or whatever, but that's not the issue at this point. The issue is that how he went about it," Gowdy said. She says Police Chief Eliot Isaac came to her home Tuesday night to talk about what happened. She says she wants a full investigation and the opportunity to see the findings. Vice Mayor Christopher Smitherman also wants a full investigation, and, like Gowdy, wants the policy to change. "Seven is too young; let's move it to 12," said Smitherman. "What caught my attention was the chief making a decision (to put the officer on) desk duty, and that gave me some indication that the chief thought there were some concerns about what had happened," Smitherman said. Police Chief Isaac released a statement saying, "We are extremely concerned when force is used by one of our officers on a child of this age. As a result, we will be taking a very thorough review of our policies as it relates to using force on juveniles as well as the propriety of the officer's actions." Gowdy she says she hopes her daughter learns from this mistake. "I understand that the stealing and everything was wrong, but how he went about it, it didn't have to happen, and two wrongs don't make a right," Gowdy says.